Hudson Valley YA Society Event Sunday! If you’re in the Hudson Valley, come see me tomorrow, Sunday, April 28, at 4pm for a Hudson Valley YA Society event at Oblong Books in Rhinebeck! Here’s more about the event featuring me, Lauren Morrill, Lauren Oliver, and Jess Rothenberg! RSVP via Facebook or email to the store. And if you can’t make the event, you can order signed copies of my books and I’ll personalize them to you when I’m there! Order 17 & Gone signed from me to you. 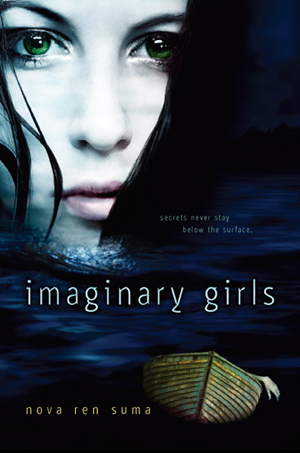 Order Imaginary Girls signed from me to you. 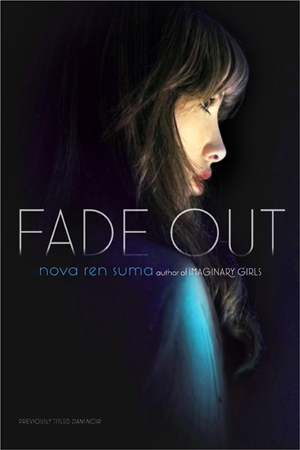 Order Fade Out signed from me to you. My name is Amber Couch, and I’m a middle school and high school librarian in rural, southwest Virginia. My students are always asking me if I’ve read all the books in the library. Not even close! But I have read a lot, and that made the task of choosing just a few books for this blog post a real challenge. As I walked around my library, I kept saying, “Oooo! I love that book. Wait, no, this one!” Even as I’ve written this post, I’ve changed my mind a few times. One thing I noticed about all the books was that they really targeted my overactive imagination. In all of them, the author was able to write in such a way that I was transported into the world of the characters. I wish I could live there forever. So, of course, my first book I want to share is Anne of Green Gables. Anne Shirley is the epitome of overactive imaginations, and I was sure she was my absolute bosom friend. Lucy Maud Montgomery set the bar for how I measured all future best friends, and no boy would ever be as wonderful as Gilbert Blythe. Anne and her world made such an impression on me that college papers would be written about her, my best friends had red hair, and even my cat is named after her. Anne lived life with such joy and saw the world as magical. I try to embrace that every day. When students say they want something lighthearted, maybe some adventure or comedy, this is the first book I direct them to. When I got to high school, I started reading a lot of Michael Crichton novels. My biology teacher read Jurassic Park aloud to us when we were learning about genetics, and I was hooked. Michael Crichton scares me! And again, that’s because of my overactive imagination. His books (hopefully) couldn’t actually happen, but they are grounded in enough scientific fact that it makes you wonder. His scariest book, and my favorite, is Prey. This is a story about little nanobots that fly around in swarms and can get under your skin and possess you. The whole time I was reading it there was a buzzing in my ears and my skin was crawling. I would see a swarm of gnats and start wondering if there were actually microscopic robots coming to attack me. It didn’t help that the story took place within a few hours of where I lived. Michael Crichton was able to make the impossible seem almost plausible, which terrified me. When students ask for horror books, I always try to steer them towards his shelf. Recently I read Finnikin of the Rock by Melina Marchetta. This is the type of book I wish I could write—fantasy, complete with wizards, magical beasts, sword fights, and princesses never really in distress. It reminded me so much of the books I kept hidden in high school for fear I would be too much of a nerd. Books like The Belgariad by David Eddings, The Wheel of Time by Robert Jordan, and The Lord of the Rings by J. R. R. Tolkien. To this day I want to believe that somewhere there really is a world where magic is possible, dragons soar through the skies, and knights ride in to save the day. Finnikin is the perfect hero and Melina’s book does a wonderful job of writing action scenes that get your blood pumping and tender scenes to warm your heart. I cry every time I read the ending and fall completely in love with Finnikin. I’m so excited that she has written a sequel, and I can’t wait to start reading my library’s copy. When students want fantasy adventures, this is right where I direct them. One thing I’ve noticed about the books that get overlooked in my library is that they generally are older. Students want the books with the shiny covers that came out yesterday. If I tell a student that a book was one of my favorites when I was their age, they will generally put it back. The Fudge books by Judy Blume were my life in 4th grade and are still incredibly relevant. But, students don’t seem to be as interested anymore. So, my advice when trying to find a good book is don’t forget about those books that are older. Just because they were written before you were born does not mean they are a boring book. There’s a reason we call them classics, and I think it’s time to start giving that title to more amazing books. If you have an older book recommendation for me, I would love to hear it. You can find me on twitter: @acouchwriter. When Nova contacted me about doing a guest blog for her Beyond (the Latest) Buzz series about “overlooked” books, I instantly had concerns. No. That’s not true. I was instantly flattered, excited, and thrilled to be asked. But then I started thinking about what an overlooked book IS and then the concerns began. Are we talking within the last year? Within my lifetime (a time that included a barren YA wasteland [at least where I lived] and a subsequent YA boom that continues to grow and expand)? Of all time? And what does “overlooked” mean? Less than 100 reviews on GoodReads? The title is on a backlist? Didn’t win an award OR sit atop the bestsellers list? Clearly, I have an issue with overthinking things. 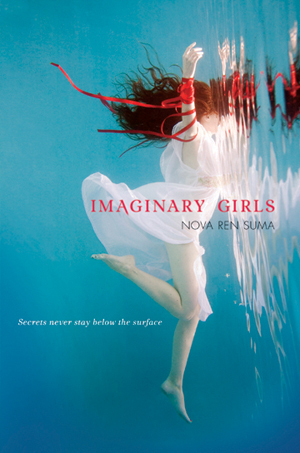 Nova had this all planned out, though, and gave a huge amount of flexibility of how to view the series and the books. Basically, these are books we think should get some more attention. The Door in the Hedge by Robin McKinley. This may or may not be the book that spurned a passion for fairytale retellings in my life. I still haven’t found a new version of The Twelve Dancing Princesses that I like more than McKinley’s take on the matter. All four short stories included in this set are wonderful and may incur a desire to take advantage of alllllllllllll the retellings that have been pubbed lately. Any book by Elizabeth Chandler. For real. While her Kissed by an Angel series is pretty well known (and recently got a bit of a reboot with a sequel trilogy), my personal faves that I revisit year in and year out are from a series called “Love Stories.” Does anyone besides me remember these? Basically, it was a bunch of non-connected love stories written by a HUGE number of authors and sold under the series title. Chandler wrote a few but my particular favorites are I Do and At First Sight. I still get a little swoony thinking about those two. These aren’t published anymore, but if you see one in a used bookstore or your stacks—GRAB IT. Okay, if I’m honest, I find this to be a love-it or hate-it book. Personally, I adore Portman’s sophomore novel. Andromeda is a quirky, intense character and has Very Strong opinions as to how libraries run. Additionally, I learned a boatload from this book—about the occult, tarot cards, and inner-ear problems. Okay, Cohen’s debut has 562 GoodReads ratings [768 now, as of this posting! —NRS]. BUT STILL. Not enough. And while the material is intense, dark and, at times, tough to get through, the friendships in this book are unique and different and fascinating. Plus it puts an entirely different spin on sports books, bullying, and revenge. I am a theatre nerd. Like, for serious. And I’ve always felt this Lockhart novel gets lost amongst her other awesome novels. I also harbor a distinct affection for the gorg cover. That said, when reader’s advisory was a huge part of my job, I constantly used this book as a go-to read for many a-customers looking for a good read. I have to give credit where credit is due: the only reason I know about this series of books (of which SSG is the first) is Leila at Bookshelves of Doom. Most places categorize them as adult fiction—the MC is in college—but I think they fit just as happily in the upper-YA range. I came for the secret societies, but I stayed for the interesting friendship dynamics, complex characters and storylines, and big, swoon-worthy moments. This is a very recent read for me and I was positively swept away by it. The historical details. The juxtaposition of our two MCs. Wales. 13th Century. Ugh. Loved it. Loved. It. Since we started with fairytale retellings, let’s end with one. In KMS, people are forced to live fairytale stories out in real time. This can be as lovely as finding the Beast to your Beauty or as awful as realizing the designated Beast is also the misogynist dude from high school. I loved how Cross played this story out and how she translated actions/characters from fairy tales into present-day reality. Such a fascinating new take on retellings that had me dwelling on the concept for days. And that’s all she wrote. From The Re-Shelf, anyway. There will be way more hidden gems revealed throughout this series and I cannot wait to see them revealed! Thanks for having me, Nova! Kellie makes her Internet home over at The Re-Shelf, where she reviews books—usually late at night. She is an academic librarian by trade and delights in all things entertainment. After a year living in Alaska, she firmly defines herself as an “indoor girl.” Currently, she is nursing obsessions with Sleep No More; She’s So Mean by Matchbox Twenty; Pitch Perfect; and dystopian novels. One day soon she plans on running away to New York City. Her dream is to be a one-hit wonder. You can also find her on the twitter. And be sure to enter the giveaway before it closes tomorrow! I have always been a storyteller. When I couldn’t write, I rambled—imagining epic adventures for the family dog, the squirrels in the backyard, you name it—and then when I could write, I was an addict. I went to writing camp over the summers during middle school (yes, really). I took some creative writing classes in high school and then minored in it in college. Even after graduating, when I started working as a web designer, I still wrote obsessively on the side. But despite all those years of writing—while I penned countless short stories and filled notebook after notebook with poetry and prose—I never once completed a novel. I’d have a spark of an idea and feverishly type a chapter or two. I’d revise and polish those two chapters until they shined. And then I’d lose interest. The manuscript would sit, lonely and forgotten on my hard drive, next to dozens of other abandoned projects. That “writing” folder was a sad graveyard of half-baked story ideas. I liked to tell myself that this happened habitually because none of my ideas were The One. That, or I needed to mull a concept over more thoroughly before I was capable of writing chapter three. Or even if I did mull it over, I’d never have the time to craft it into the version of the story I had in my head so why fight an impossible battle? There just wasn’t enough time. After all, I was busy with school/work/wedding planning/holidays/friends/family/life. The hard truth was this: It wasn’t that I didn’t have the time, but that I didn’t want to make the time. All the excuses were just a way to satisfy my conscience. I was Eeyore that first week of unemployment, all doom and gloom. But then something funny happened. In the quiet hours when my husband (then-fiancé) was at work, and in between my job hunting and last minute wedding planning, a new novel idea fell into my lap. I wanted to write it, only this time, I told myself if I started, I wasn’t allowed to quit. I was getting married and eventually I’d have a new job, and with this new stage of my life, I decided I was also going to be a new type of writer: one who saw projects through. I was going to finish that novel no matter what. So I started drafting. I got married. I found a new job. I fell back into my typical 50-hour workweek. We moved and suddenly I had an hour long commute each way. And I finished that novel. I revised it. I started another. I finished and revised that. I was busier than ever (especially with that hellish commute), and yet I was writing at volumes I’d never before come close to. At my new job, the creative director ran a book club. Every month she assigned the design and dev team an industry-related read, and then we’d all discuss it over lunch. I distinctly remember everyone reacting strongly to this quote about dreams and personal projects: “There is always enough time if you spend it right.” The co-authors of the book, Rework, went on to theorize that if you don’t have enough time, than maybe your personal project isn’t really your dream. And that’s totally okay if it’s not. Time is precious and you should absolutely spend your free hours doing the things you love most. But coincidentally, you forfeit the right to complain and mope about not reaching your dreams if you don’t actively pursue them. I think this resonated with me in part because it was so plainly stated, but also because I’d learned this very truth in the months following my job loss. That unfortunate event made me move forward with redefined goals. I was unflinchingly honest with myself. I promised to stop making excuses and hold myself accountable. I would finish drafting a novel because I was making it a priority. That pivotal moment came rather early in my writing career. Heck, it came long before I even considered pursuing publication. Back then, I had no clue what an agent did or what a query letter was and the only ARC I knew of was the America Red Cross. Sometimes I wish the enlightenment came even sooner, but in the end, I’m just glad it came. Period. Because once writing was a priority, it was amazing how much time I could carve out of an already busy day. Last week my debut novel, TAKEN, released from HarperTeen. I can confidently say that had I not lost my job in 2009, I would never have written this book. When the idea for the story surfaced, it was so complex—packed with twists and turns—that even having a finished novel under my belt and knowing I was capable of typing through to the end, didn’t make the thought of drafting TAKEN any less daunting. But I’d learned my lesson about goals and persistence, and I knew I could write the book if I made it a priority. So I opened a new document. And I started typing. Erin’s debut novel, Taken, came out last week from HarperTeen! THE AFTER GIRLS is on sale today, April 18, from Merit Press! Taking to heart the wisdom of many a writing teacher and advice piece on the Internet, I wrote my first complete novel with a thorough outline. One with every scene and plotline planned out. I wrote several pages a day, on top of a demanding full-time job in magazine publishing. I was new to New York and didn’t have many friends, so my manuscript was often my Saturday night date. I completed a draft in about four months (I have my outline and lackluster social life to thank for that), and while I did revise extensively, both on my own and with the agent I signed with upon completion, I have to say I was pleased with how quickly I cranked it out. It was like a Writer’s Digest post on How to Write a Novel. 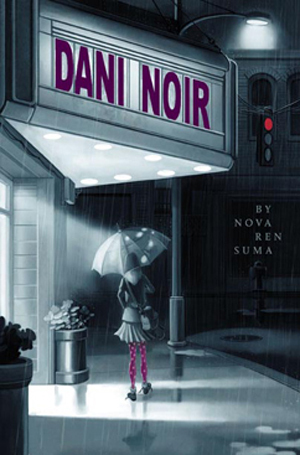 Set in the town where I grew up, the story was sweet and semi-autobiographical. It was what I had to write before I could write anything else. It got me a wonderful agent, but unless I go back to it, it will likely remain in the proverbial desk drawer for the remainder of my career. And I’m okay with that. Coming to terms with my new, almost improvisational writing process was my turning point. It was when I put away the guilt of not writing as quickly as I had before—and the doubts that came from not being able to distill the story into a digestible outline. It was when I recognized that each novel is different—it has its own personality, its own way of talking to you and revealing itself to you. After the book sold, I had a conversation with my editor (a writer, herself), and when I told her about the process, she said that she could never have written a book that way. It only helped to show me that there is no right way to write a book. And that’s what makes every book so different and wonderful—we all do it differently. Leah Konen is a writer living in San Francisco. She is a graduate of The University of North Carolina at Chapel Hill, where she studied journalism and creative writing. Her work has been published in Elle Decor, Good Housekeeping‘s Quick & Simple, Parenting, The Fiscal Times, and several regional newspapers and magazines. The After Girls is her first novel. Visit her online at www.leahkonen.com.